Music acts remake songs for all sorts of reasons. This week in 1993, Australia's favourite British boy band debuted on the ARIA chart with a track they seemingly covered purely because the lyrics and their name went hand-in-hand. 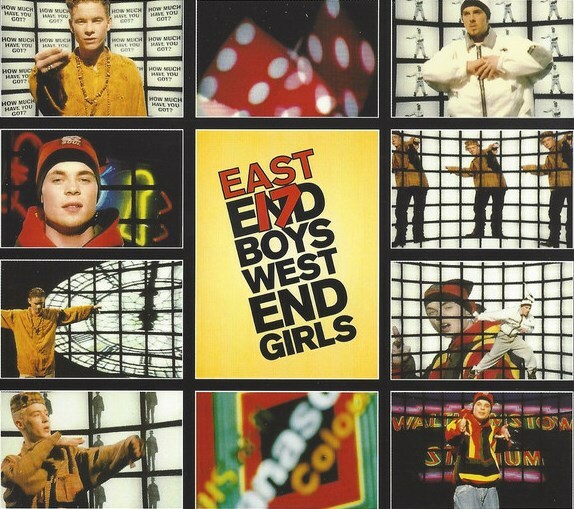 East-end boys took on "West End Girls"
As remakes go, it was a wholly unneccessary update, but it did keep the group in the singles chart and allow them to whack out a re-release of their debut album (something they'd have to do all over again with their next single). Another cover version was still at number 1 this week in 1993. UB40's "(I Can't Help) Falling In Love With You" spent its fourth week on top. Originally released after "Motownphilly", this former Billboard number 2 remake of the 1975 single by GC Cameron (from film Cooley High) finally cracked the chart locally. Seems most BIIM fans already owned the a cappella track on album Cooleyhighharmony, which had spent several weeks in the top 5 at the start of the year. Debut single "When You Gonna Learn" had just missed the top 100 but this follow-up almost took the acid jazz group into the top 50, somewhere they'd finally reach in 1996 with "Cosmic Girl". Expecting a fourth hit off Bodyguard was amibitious, and this latest ballad, which had originally been written as a break-up song before the lyrics were changed, performed accordingly. Creeping in to the bottom of the top 50, this sophisticated ballad duet made it three simultaneous hits from the Beverly Hills, 90210 soundtrack (with singles by Jeremy Jordan and Shanice still on the chart). For Vanessa, it was her first single to chart since number 1 "Save The Best For Last", while for Brian, it was his breakthrough release, both here and in the US, with nothing from his 1992 self-titled debut album having taken off up until this point. Keeping things on a sophisticated tip (well, compared to the raucous top 50 hits she'd scored in recent years) was Tina Turner with the lead single from What's Love Got To Do With It, her soundtrack album from the biopic of the same name, in which Angela Bassett played her. A pleasant enough tune, it was co-written by Lulu, who had something of a pop renaissance in 1993 thanks to this and her guest vocal on upcoming Take That remake "Relight My Fire". 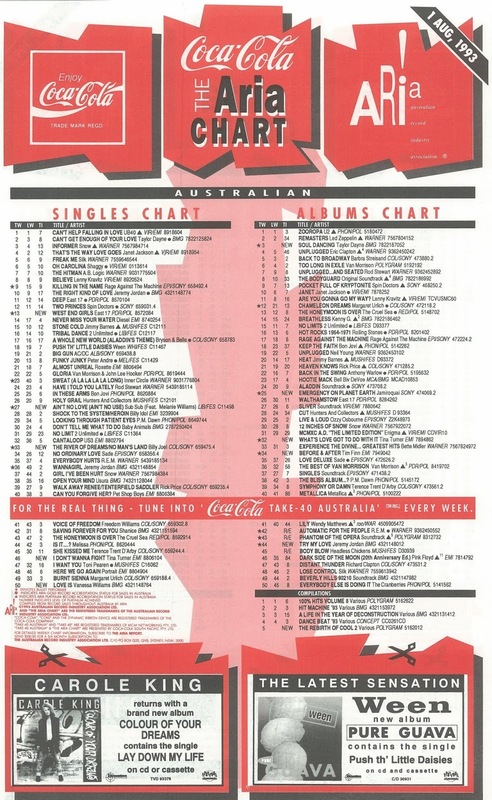 The last time Billy Joel had scored a big hit on the ARIA chart, it was with 1989's angry history lesso,n "We Didn't Start The Fire", which peaked at number 2. The Piano Man went one better with the (almost) title track of 12th album River Of Dreams, which became his first chart-topper here in a decade. Theoretically part of a double A-side release (although I never did hear "No Man's Land" at the time), "The River Of Dreams" came to Billy in his sleep - he woke up singing it - but he initially resisted recording a gospel-influenced song. Bet he's glad he changed his mind. Not only was this debut single by UK act Sub Sub (with Melanie Williams on vocals) one of the best dance tracks of the year, but it was one of the best songs of any genre of 1993. Based around a sample from disco tune "Good Morning Sunshine" by Revelation, "Ain't No Love (Ain't No Use)" was under three minutes of pop perfection. Unfortunately, the band's follow-up singles, "Respect" and the exquisite "Angel" received next to no attention, and Sub Sub traded in dance for indie rock when they transformed into Doves later in the decade. 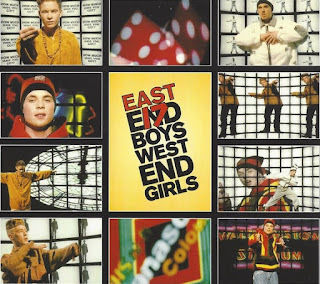 It was kind of inevitable that boy band East 17, who hailed from East London, would tackle Pet Shop Boys' breakthrough single, "West End Girls", if for no other reason than to have a situation where East End boys were singing/rapping about West End girls. There wasn't really any other cause to revisit the 1985 hit (1986 in Australia) and the East 17 version certainly didn't add much to the original. 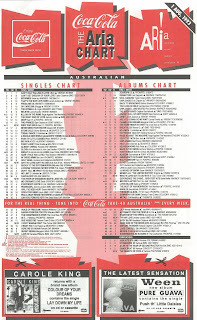 Once again, Australia skipped over a single by the quartet that had been released in the UK - in this case, "Slow It Down" - to leap straight from "Deep" to "West End Girls", and the strategy worked, with the cover giving the boys a third straight top 10 hit locally. Not included on the original version of debut album Walthamstow, "West End Girls" was added to the tracklisting for a re-release when it seemed like all potential singles had been exhausted. Towards the end of 1993, however, another original Walthamstow track would be given a radical makeover to emerge as the album's final single (requiring another re-release). Before then, "Gold" would finally be issued in Australia and peak at number 101. Next week: two of my least favourite songs from 1993, plus the biggest Australian hit from the man who replaced Bobby Brown in New Edition. I only knew the Boyz II Men track from American Top 40, and never saw the video. Not really my thing. The Jamiroquai track is very Stevie Wonder-ish. I knew 'Run To You' from my parents owning the Bodyguard soundtrack, but never really heard or saw it promoted as a single. I liked 'Love Is' a lot, and probably prefer it slightly to 'Save the Best For Last', due to it not being overplayed. Sub Sub and East 17 aside, this week's new entries all seem to have been rather 'adult contemporary'-friendly. I never cared much for 'I Don't Want To Fight'. I hated 'The River of Dreams' at the time with passion, but now think it's sort of OK, in small doses. My dad bought the album, so I must have heard 'No Man's Land' before, but can't remember it. I love 'Ain't No Love...'. It's one of those songs that always puts me in a good mood. I'm not surprised it was based on a sample, but I hadn't heard the original track before. The only time I heard 'Angel' back then was when it aired on Hitz TV - a community TV spin-off of the successful, youth-orientated Melbourne dance radio station Hitz FM. I wonder what the impetus to record 'West End Girls' was for East 17? Perhaps 'Deep' doing well in the UK, the record company thought they should record something similar-sounding to follow it up, but nothing else on 'Walthamstow' fitting the bill? It's a pretty crap cover IMO. 'Slow It Down' is listed as being released in the ARIA Report in June '93, and I remember seeing an article on it in (Oz) Smash Hits, but never heard or saw it at the time - so I'm not sure whether it came out with a low-key release, or if it was shelved at the 11th hour. I liked 'Gold', but it was a bit too similar to 'House of Love' - though I'm surprised it flopped here (and relatively, in the UK). Oh maybe Slow It Down did come out properly, but the record company jumped on West End Girls immediately afterwards?